Interventional radiology emerged in 1964, when Charles Dotter defied sceptics and insisted that angiography, until then a purely diagnostic tool, could be used to actively treat patients. Percutaneous transluminal angioplasty, as it would later be called, was born. Dotter’s revolutionary concept of “catheter therapy” soon sparked the development of other minimally invasive tools and techniques. Two societies initially represented interventional radiologists in Europe: the European College of Angiography and the European Society of Cardiovascular and Interventional Radiology. 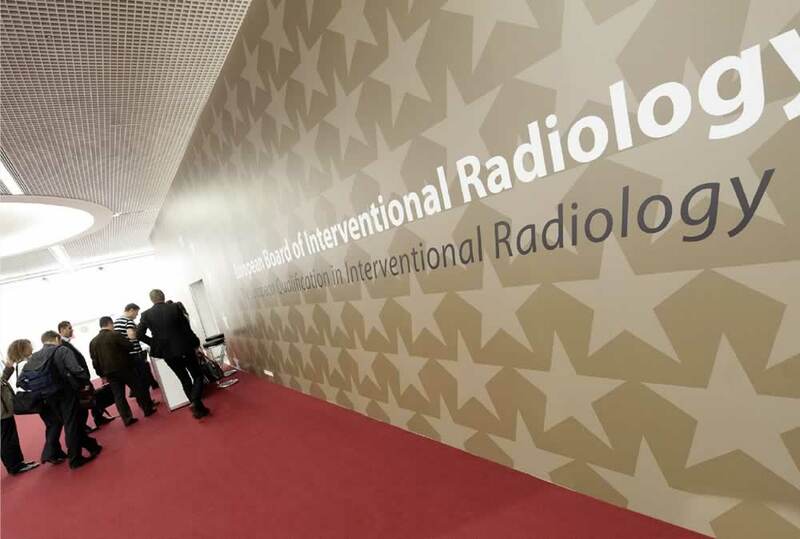 On April 24, 1985, the societies were officially merged during a joint Annual Meeting and postgraduate course in Vienna, and the Cardiovascular and Interventional Radiological Society of Europe — CIRSE — came into existence. The new society had a combined membership of around 300. In May 1986 the first CIRSE congress and joint meeting with the American SCVIR took place in Jerusalem, followed by meetings in Porto Cervo, Berlin, Paris, Brussels, and Oslo, with steadily rising attendance figures of up to 800. With membership numbers increasing and interventional radiology procedures impacting a growing range of medical conditions, CIRSE shifted focus, intensifying its training, education and research programmes. A major development followed when the scientific peer-reviewed journal CardioVascular and Interventional Radiology (CVIR) became CIRSE's official journal in 1991. In 2000, the CIRSE Foundation was established, enabling the society to further step up investments in education and clinical research. A decade of remarkable progress ensued, with membership amounting to almost 1,500 by 2004. Congress participation hit the 3,500 mark, and the technical exhibition and scientific programme were expanding rapidly. That same year, Ms. Brigit Läubli, CIRSE's Executive Director since 1991, retired, and was awarded the Distinguished Fellowship in recognition of her outstanding contributions to the society. CIRSE celebrated its 20th anniversary in 2005. The Executive Committee, under the leadership of Andy Adam, seized the occasion to conduct a thorough strategic review, which culminated in the decision to establish a permanent office in Vienna, sparking further growth and progress. Opening headquarters in Vienna and hiring permanent staff marked a new era. The society’s emphasis on highly professional organisational services was soon reflected in robust congress attendance figures. Over 4,700 delegates attended CIRSE 2006 in Rome. At CIRSE 2009 in Lisbon, that number rose to 5,300. Almost 6,600 participants made it to CIRSE 2013 in Barcelona. But mere numbers don’t tell the full story. Drawing on the expertise of several newly-established committees, including one dedicated entirely to programme planning, the scientific programme has become increasingly multi-faceted, comprehensive and clearly structured, with sessions split into six separate tracks. The society has also introduced additional, specialised conferences, such as ECIO and ICCIR, with the IDEAS seminar to debut at CIRSE 2015. Investments in member services, including the addition of group membership, attracted practitioners from all over the globe, and encouraged increased participation by national IR societies. Membership rapidly expanded, increasing from around 1,500 in 2005 to over 6,500 today, including growing numbers from outside of Europe. While delivering outstanding educational programmes remains CIRSE's key priority, the society has also become an important representative of the IR community in diverse contexts, including standard setting, guideline and policy development, research, and collaboration with other organisations. When the powers of creativity and innovation merge, history is often made. CIRSE's history would not have been possible without our members’ dedication and professionalism. Thanks to visionary leadership and contributions by a committed membership, CIRSE has been able to grow successfully and continuously, bringing us to where we are today. We are also very grateful for the vital support provided by our corporate partners throughout the years. The following section presents some of the highlights and initiatives of the past 10 years. 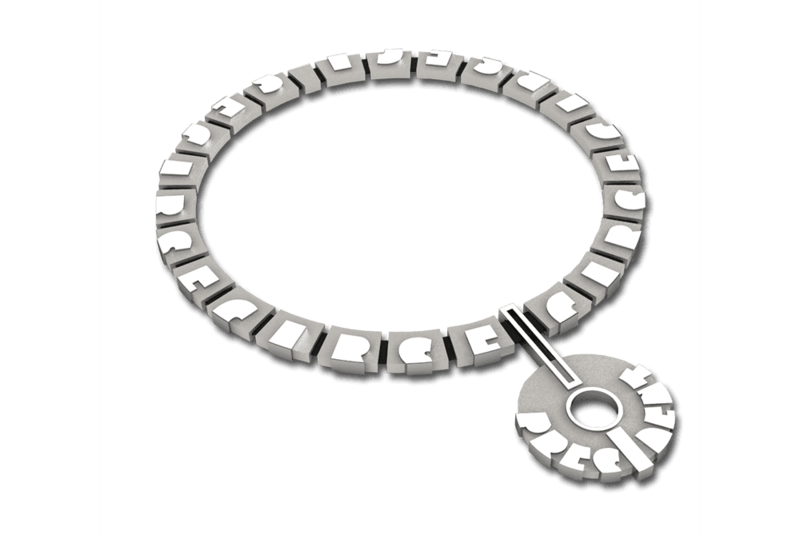 We strongly believe that these represent only the beginning of CIRSE's story. We do not claim to tell CIRSE's full story here, and will regularly update this site as the organisation’s history continues. In the meantime, we invite all members who would like to contribute content to this site to contact us at publications@cirse.org. Here’s to many more years of excellence and innovation! The Palazzo dei Congressi served as an impressive backdrop for the first CIRSE Annual Meeting under the administration of the newly established society office in Vienna. Local Hosts Roberto Passariello and Giovanni Simonetti, shown here with Mario Bezzi and Executive Director Daniel Waigl, made invaluable contributions to the meeting’s success. The event benefited greatly from the input of the Scientific Programme Committee, chaired by Michael Lee. Executive Committee members Andy Adam, Johannes Lammer and Michael Lee join Lindsay Machan, whose Roesch Lecture outlined challenges and opportunities presented by the latest drugs and devices. Distinguished faculty members from India offered intriguing insights into IR developments on the subcontinent during the CIRSE meets India session. Luigi Solbiati delivered a visionary Gruentzig Lecture on IR’s future role in fighting cancer. The Film Interpretation Panel attracted a diverse group of influential historical figures, including José Ignacio Bilbao as Robin, Riccardo Lencioni as Julius Caesar, Adam Hatzidakis as Darth Vader, and Wojciech Cwikiel as Dr. Evil. Dedicated to offering practical training to the IR community, CIRSE founded the European School of Interventional Radiology in 2006. 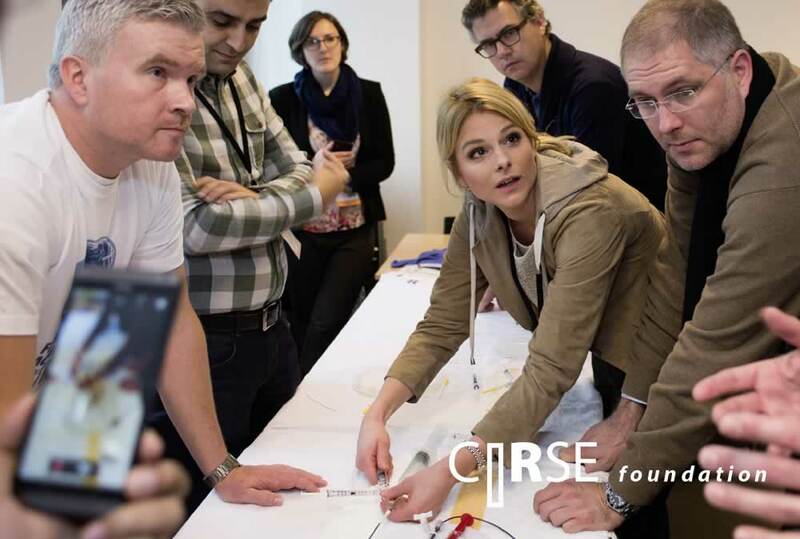 ESIR courses complement CIRSE's conference-based educational programme by providing interactive sessions focused on select topics in small-group settings. Featuring hands-on and product training, they represent a unique opportunity to learn about all therapy approaches and different products available for treating specific conditions. The first two courses held in 2006 − in Kuopio, Finland and Lublin, Poland— focused on vascular interventions, and proved extremely popular. By 2007, ESIR offered 6 courses, and by 2008, this expanded to 13, making it the largest non-commercial training programme in the field. In 2014, the programme was split into Fundamental and Expert Courses, offering targeted training to doctors beginning their IR career and to more seasoned practitioners, respectively. The changes have been enthusiastically welcomed. 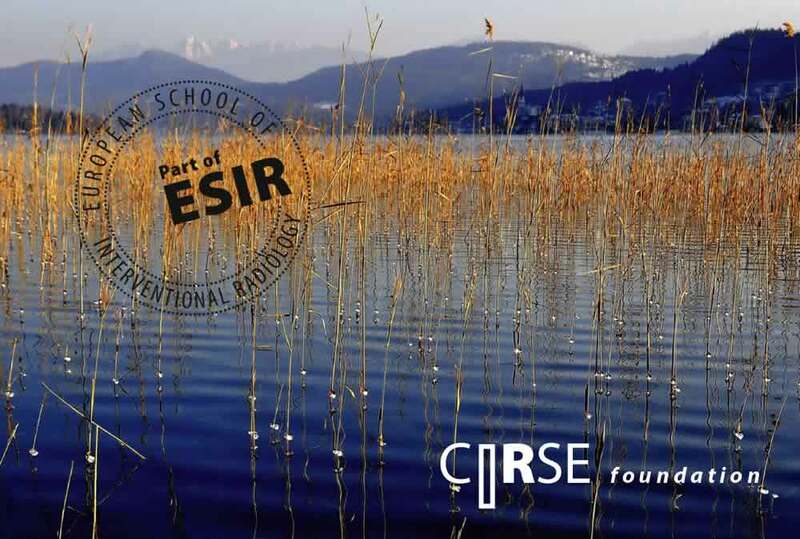 ESIR courses are sponsored by the CIRSE Foundation, which also supports GEST Europe's biennial meetings and provides education grants to young IRs seeking to deepen their expertise by spending three months working with established experts in the field. Today, ESIR courses are exclusively hospital-based and include a wide variety of educational formats, including recorded and live cases. With physicians from around the globe increasingly enrolling, ESIR’s influence today clearly extends beyond Europe, underscoring its excellent value. Dimitris Kelekis, Elias Brountzos and Katerina Malagari served as Local Hosts for this unforgettable Annual Meeting. Katerina Malagari catches up with Andy Adam on the Grand Bretagne roof garden. President Lammer and Elias Brountzos pose with Dimitris Kelekis, who was awarded a Distinguished Fellowship. Gruentzig Lecturer Julio Palmaz, an IR pioneer who invented the balloon-expandable stent, shared insights on metallic stents based on 20 years in practice. Henrik Sillesen and his colleagues from the European Society for Vascular Surgery offered their perspectives on angiotherapy, EVAR and lower limb ischaemia in the CIRSE meets ESVS session. Ernst-Peter Strecker shares a laugh with colleagues. A distinguished faculty from China took part in the CIRSE meets China session, which included a presentation by Gao Jun Teng, who outlined the current status of IR in the country. Disclaimer: In line with ethical standards, social events always take place outside of Congress hours, and participation is not covered by Congress registration fees. Anna-Maria Belli, moonlighting as Artemis, targets her future presidency. Quickly recognising that the internet could serve as an excellent educational pathway, CIRSE added a web-based database containing IR material in 2006. The resource, eventually renamed ESIRonline, made available all lectures from CIRSE meetings dating back to 2006. It soon attracted considerable interest, with over 20,700 downloads carried out during the three weeks following CIRSE 2010 alone. An editorial board, led by Prof. Mario Bezzi, now oversees the database and develops userfriendly, practical features. For example, so-called “topic packages”, which bundle select material that addresses particular themes, and are compiled and continuously updated by the board, were added in 2013. A “case of the month” feature is also in the works. The design and functionality of the database have also continuously been updated, and now include a state-of-the-art search function. CIRSE 2012 marked the debut of the Live Stream, which allows colleagues who are unable to attend the Annual Meeting to follow select sessions online. Today, ESIRonline is the largest online platform for IR material, and a truly multi-faceted educational tool addressing all areas of minimally invasive medicine. Technological innovation loomed large in Copenhagen, with the event featuring a particularly extensive technical exhibition. Local Host Poul Erik Andersen proved to be an outstanding partner. The Scientific Programme Committee, chaired by Marc Sapoval, designed a comprehensive educational and scientific programme. Gold Medallists John Abele and Bill Cook, who both made seminal contributions to IR, pose with Frederick Keller, Jim Reekers and Andy Adam. It was an honour to welcome representatives of the Japanese Society for Angiography and Interventional Radiology, who discussed BRTO, TACE and RFA in the CIRSE meets JSAIR session. Aghiad Al-Kutoubi and his colleagues from the Pan Arab Society for Interventional Radiology gave diverse presentations, including on the local regulatory environment, in the CIRSE meets PAIRS session. Roesch Lecturer John Kaufman outlined a roadmap for IR in a speech that foreshadowed the development of a dual certificate for interventional radiologsts in the United States. A comprehensive Patient Awareness campaign, featuring a tailored exhibit and press conference, informed the public about the benefits of minimally invasive medicine. Afshin Gangi, Anthony Watkinson and colleagues at the ever-popular Film Interpretation Panel, presenting tools and head-coverings that fortunately do not represent the latest radiation protection technology. Initially limited to providing palliative care, interventional procedures for treating cancer soon expanded, and interventional oncology quickly established itself as a promising subdiscipline of interventional radiology. Today, it plays a major role in cancer care, alongside radiation therapy, systemic therapy and surgery. To meet the demand for high-quality education in this growing field, CIRSE created a new meeting: The European Conference on Interventional Oncology (ECIO). Under the leadership of Riccardo Lencioni, Scientific Programme Committee Chair from 2008 to 2013, the first congress in 2008 was an enormous success, attracting over 1,300 participants from 65 countries. Initially held every two years, ECIO became an annual event in 2013. The conference draws its strength from vital contributions by true leaders in the field of interventional oncology, with both faculty members and delegates representing pioneers in the subdiscipline. To promote multidisciplinary cooperation, ECIO introduced the “Bring your Referring Physician Incentive”, welcoming other specialists, such as oncologists, hepatologists, surgeons and radiation oncologists, to the congress. It also incorporated joint sessions with other societies, such as the European Society of Medical Oncology, the International Liver Cancer Association and the European Society for Radiotherapy and Oncology. The Multidisciplinary Tumour Boards were later added to further support collaboration. As a result, ECIO has become an ideal forum for engaging with other specialists. Riccardo Lencioni, ECIO Scientific Programme Committee Chair from 2008 to 2013, and Thierry de Baere, ECIO Scientific Programme Committee Chair for 2014 and 2015. Attendance soared at the 2009 Annual Meeting, with over 5,300 delegates participating. Paulo Vilares Morgado, shown here with José Bilbao, Jim Reekers and Elias Brountzos, ably chaired the Local Host Committee for the highly successful event. Members of SOBRICE, posing here with Francisco Carnevale and Jim Reekers, presented lectures on complex renal artery aneurysms, carotid stenting, and select paediatric interventions in the CIRSE meets Brazil session. Representatives of the European Society for the Study of Diabetes, shown here with Johannes Lammer, Jim Reekers and Jan Peregrin, provided important insights into peripheral vascular disease in the CIRSE meets EASD session. The scientific programme included a significant number of hands-on workshops, offering delegates tangible introductions to a variety of procedures. Riccardo Lencioni‘s Gruentzig Lecture scrutinised developments in interventional oncology. Michael Dake‘s Roesch Lecture addressed new frontiers in interventional radiology. The Film Interpretation Panel, coordinated by Tarun Sabharwal and moderated by Mario Bezzi and Graham Plant, pitted senior interventional radiologists against their junior colleagues. A special exhibition outlined the intriguing history of angiography in Portugal. Founded in 1978 by Professors Herbert L. Abrams and Eberhard Zeitler, CVIR is the oldest journal in the field and publishes peer-reviewed, original research work. In 1991 CIRSE signed a contract with the publisher Springer, making CVIR its official journal and constituting a major milestone in the history of both. The journal’s recognition and importance flourished, culminating in 2009 when it became the most cited interventional radiology journal under the guidance of long-standing Editor-in-Chief Dierk Vorwerk (since 2003). That same year CIRSE became the joint owner, acquiring 50% of the journal. CVIR is now the official organ of 17 national IR societies. Its global nature is also represented by its editors and editorial board comprising members from 24 different countries. The journal’s popularity is further reflected in the sharply rising number of article submissions which amounted to 500 in 2007 and rose to 882 in 2013. The current high rejection rate of 90% coupled with the far-reaching expertise of the international editors guarantees the high quality of the journal’s scientific content. In 2009 the eye-catching new purple cover was introduced, followed by a user-friendly and helpful website. To further facilitate mobile and fast access to the journal, and to enable a personalised custom-made CVIR reading experience, the new CVIR app was launched in 2013. 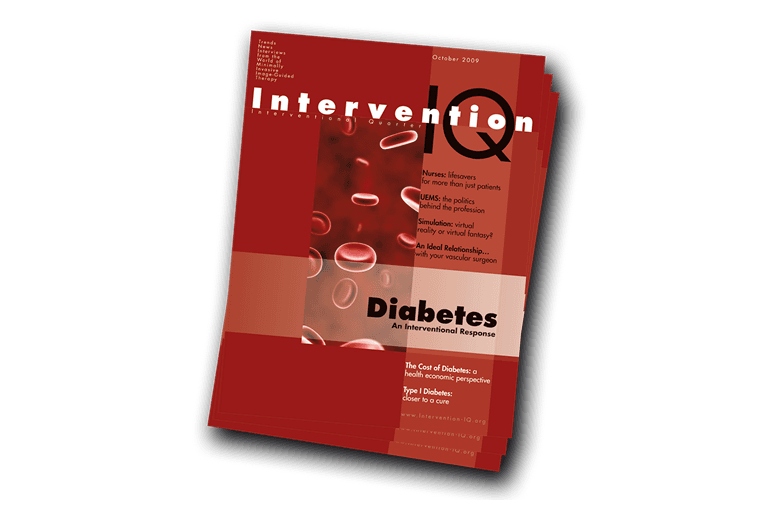 Intervention IQ was designed as a magazine that helps raise awareness and establish communication channels for various players in the field of IR and healthcare in general. The non-commercial Intervention IQ magazine was the largest independent interventional radiology PR campaign, which lasted for 5 years and covered a variety of topics in the field of minimally invasive image-guided medicine. Every issue offered a comprehensive report on a specific condition or disease area, with the launch issue focusing on diabetes. Intervention IQ was designed as a magazine that helps raise awareness and establish communication channels for various players in the field of IR and healthcare in general. Along with extensive and accurate medical content, the magazine aimed to examine the political, social and economic issues that shape the work of interventional radiologists, as well as the latest news and updates on technologies and research. Topics featured in the magazine range from cancer, stroke and women’s health to trauma and patient safety. IQ reached over 45,000 readers per issue including doctors, hospital managers, department heads, health politicians, the medical industry and patients. Communication and interaction between the various parties was an important matter close to the heart of IQ’s Editor-in-Chief Jim Reekers and other stakeholders. Therefore, a specially designed Intervention IQ website and app were created to provide an additional platform for interaction and a valuable database for downloading resources. The mood was celebratory at the Annual Meeting in Valencia, which marked CIRSE's 25th anniversary. Julio Palmero da Cruz provided great leadership as the Local Host. Elias Brountzos effectively headed the Scientific Programme Committee as Chairperson. The Neurointerventions track made its debut in 2010, and featured several specialised sessions, including the first hands-on workshop on stroke therapy. Members of the Latin American Society of Interventionism (SIDI), posing here with Jan Peregrin, provided valuable insights into the status of specific IR procedures in the region during the CIRSE meets Latin America session. In the CIRSE meets ESA session, Patrick Wouters and other representatives of the European Society of Anaesthesiology underscored the importance of the proper use of anaesthesia in IR. The multi-faceted programme included a series of sessions on the crucial topic of health economics. CIRSE and the European Federation of Radiographer Societies, headed by Paulo Graciano from 2011 to 2014, joined forces to offer four workshops especially designed for radiographers and nurses. A government representative and President Jan Peregrin spoke at a highly successful media event, which highlighted interventional radiology’s role in treating liver cancer. With Valencia hosting the 2010 America‘s Cup, Alexis Kelekis and Christoph Binkert deftly navigated the Film Interpretation Panel, which occasionally took Viktor Berczi, Florian Wolf and Johannes Lammer through choppy waters. Understanding that advancing the field involves more than celebrating its successes, CIRSE has never shied away from confronting the difficult topic of complications. This dedication to continuously refining the practice of interventional radiology underlies the foundation of the ICCIR, a unique congress that focuses on helping IRs learn from mistakes. First called into being by Prof. Klaus Hausegger in 2000, the conference has been organised by the CIRSE Foundation as part of ESIR since 2010. It provides a discreet forum for participants to openly discuss cases that did not go as planned, and gives young doctors the opportunity to interact directly with colleagues who experienced such situations. The faculty is particularly carefully selected, overall participation is limited, and case reports are handpicked. Without fail, the resulting discussions are exceptionally frank, engaging and informative. This unusual approach has proved extremely popular. The ICCIR, which takes place every two years, has quickly established itself as the main complications meeting in Europe. In 2010, the event attracted about 200 delegates; by 2014, 305 physicians from 37 countries participated in the conference, scrutinising 60 challenging cases. Industry participation is also expanding, with 17 exhibitors present in 2014. Committed to strengthening the subspecialty’s credibility, CIRSE established the EBIR to offer a rigorous and standardised means for measuring IR expertise. Since 2010, successful candidates receive a certificate identifying them as EBIR holders, providing tangible evidence of their knowledge in the field. Twenty candidates sat for the first examination, held in Valencia in 2010, and sixteen passed. By now, over 350 interventional radiologists have obtained EBIR certification. Robert Morgan, first EBIR Council Chairperson, has contributed greatly to the initiative’s success. The examination is based on the European Curriculum and Syllabus for Interventional Radiology, and covers all aspects of IR treatments, including diagnosis, procedural details, equipment selection, outcomes, patient safety and potential complications. With national qualifications still varying considerably, the EBIR also facilitates the free movement of IRs by providing a recognised supplemental qualification. Thanks to growing interest overseas, a limited number of places are available to members outside of Europe since early 2014.  In 2015, the EBIR further extended its global reach: it was endorsed as the certification standard in Australia and New Zealand, with the first EBIR in the region held in February. CIRSE 2011 boasted record-breaking attendance of almost 6,200 delegates and a cutting-edge technical exhibition that featured 30 new product launches. Thanks to Local Hosts Thomas Helmberger and Josef Tacke, the entire event was smoothly organised. President Jan Peregrin honoured Gold Medallist Jim Reekers and Distinguished Fellows John Kaufman, Anthony Watkinson and Lindsay Machan for their outstanding contributions to the society. Distinguished members of the German IR society (DeGIR) analysed the status of IR in Germany as part of the CIRSE meets Germany session. In a CIRSE meets Australia and New Zealand session, members of the Interventional Radiology Society of Australasia (IRSA) presented the latest developments and treatment options applied in their home countries. With the emergence of advanced innovations, CIRSE emphasised hands-on practice, offering more workshops that allowed participants to gain practical insights into certain procedures. Here, expert Afshin Gangi demonstrates vertebroplasty. Extensive media efforts dedicated to tumour and diabetes therapies highlighted minimally invasive treatment options. Here radiologist Dr. Walter Gross-Fengels gives a TV interview. Aiming to improve patient safety, CIRSE launched the first-ever safety checklist for IR at the conference. It has been translated into 5 other languages, and is used widely across the globe. Anna-Maria Belli, Dimitrios Tsetis and Fabrizio Fanelli catch up during the Executive Committee dinner. O‘zapft is! Mick Lee kicks off yet another wonderful CIRSE Party at the traditional Löwenbräukeller. As a relatively young specialty not taught as its own subject at medical universities, medical students are often unaware of IR. To increase awareness, CIRSE published an undergraduate curriculum on the topic, outlining a core syllabus in the four main fields of interventional radiology. To further bolster the subspecialty’s future and attract bright minds, CIRSE initiated the Student Programme in 2010. First directed only at local students, the programme was broadened to include international students in 2011. The programme provides generous grants, enabling students to attend the Annual Meeting to familiarise themselves with IR outside of a classroom setting. It features practical hands-on workshops and specially designed sessions, and also allows students to meet like-minded peers. The number of students making use of this programme has continually risen. In 2014, almost 400 students participated. Feedback provided by students has also been very positive, with 97% of those indicating an interest in pursuing IR as a career noting that the programme played a role in that decision. 5,600 m² of exhibition space provided ample room for the 115 exhibitors to showcase their latest technical innovations. Local Host Paulo Almeida , depicted here with José Bilbao and Mariano Gimenez, helped organise this excellent event. Led by Chairperson Robert Morgan, the Scientific Programme Committee introduced a number of innovative programme features. CIRSE 2012 saw the introduction of the Award of Excellence and Innovation honouring remarkable work in IR. The first award, sponsored by the Günther Foundation, was given to Jim Reekers and Amman Bolia for developing subintimal angioplasty. In the CIRSE meets Italy session, representatives of the Italian Society of Medical Radiology (SIRM) discussed the potential and future of IR in Italy. Malgorzata Szczerbo Trojanowska’s lecture outlined tips for treating recurrent varicocele. Okan Akhan shared his expertise on pancreatic interventions as moderator on a panel dedicated to the issue. Stefan Müller-Hülsbeck addressed participants in a workshop scrutinising arterial closure devices. In 2012, CIRSE introduced a new session type - the Hot Topic Symposium. The first two symposia addressed the up-and-coming themes of vertebral augmentation and renal denervation. From the very beginning, the Society has greatly benefitted from the outstanding leadership of its presidents, who are chosen for both their exceptional skills and dedication to the field of IR. With almost 6,600 delegates from 94 countries, attendance exceeded all previous records. Local Hosts José Martínez Rodrigo (pictured here) and José Muñoz Ruiz-Canela contributed immensely to the success of the event. Several outstanding members were honoured at the Opening Ceremony: James Spies, Peter Taylor and Bien Soo Tan were awarded distinguished fellowships, and José Bilbao received the Gold Medal. Mario Bezzi held a stimulating Roesch Lecture on the future of high-intensity focused ultrasound. The topic of hypertension was thoroughly scrutinised in a joint session with the European Society of Hypertension (ESH), which also addressed potentially effective IR therapies. To give delegates a better understanding of IR‘s status in Singapore, renowned IRs from the country discussed various treatment options in the CIRSE meets Singapore session. Andrew Holden‘s brilliant Gruentzig Lecture put EVAR for AAA under the microscope. That year, the first edition of the European Curriculum and Syllabus for IR was issued, strengthening efforts to establish IR as a medical subspecialty. Combining entertainment and education, the Film Interpretation Quiz sparked friendly competition among the delegates. In a press conference, the Spanish IR society joined other oncological societies to underscore interventional oncology‘s contributions to effective multidisciplinary collaboration. Glasgow provided a unique backdrop for this memorable congress. Local Hosts Jonathan Moss and Raman Uberoi warmly welcomed all delegates to CIRSE 2014. Scientific Programme Committee Chairperson Patrick Haage outlined the multi-faceted scientific programme produced under his leadership. In his Roesch Lecture, prominent Brazilian IR Francisco Carnevale explored the topic of prostate arterty embolisation. Philippe Pereira discussed the current status of standard clinical guidelines for interventional oncology in his Gruentzig Lecture. In the CIRSE meets Israel session, distinguished Israeli IRs presented the latest research and innovations from their country. The Radiation Protection Pavilion made its debut, urging IRs to confront the risk of radiation-related cataract formation. The Award of Excellence and Innovation recognised Dutch researchers for developing Holmium-166 microspheres. In collaboration with the British Society of IR, CIRSE organised a major PR campaign highlighting treatment options for diabetic foot. The campaign featured patient testimony and attracted support from celebrity comedian Fred MacAulay. From then to now – David Allison, one of CIRSE‘s first presidents, shares a laugh with current president Anna-Maria Belli. Do you see the risk? We look forward to more memorable moments at CIRSE 2015 - see you in Lisbon! Interested in contributing to our efforts to strengthen interventional radiology? Please visit the official CIRSE website to learn more about our initiatives and our unique community! This website was developed to celebrate CIRSE's 30th anniversary, and aims to tell the organisation’s story by presenting highlights from the history of both the society and the field of IR. This website does not present the full story of either, and CIRSE accepts no liability for any misrepresentations or errors contained herein. Please send any comments you have to us at publications@cirse.org.